Love donuts but don’t want to spend the time to wait for dough to rise? 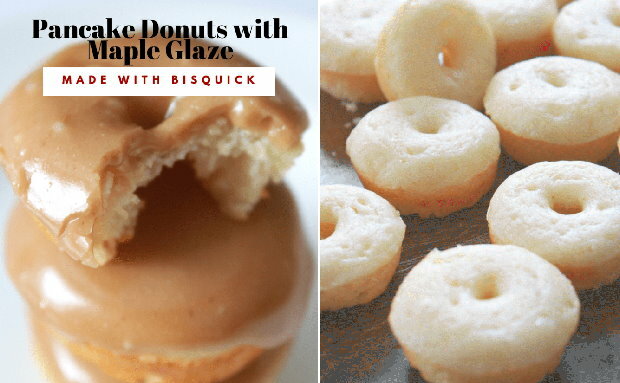 Donuts made from Bisquick are a real time saver, and the end result is still delicious. Top with a maple glaze for the right amount of sweetness. If you are watching calories, keep in mind you can make mini-donuts for better portion control. You can check out the complete recipe along with step-by-step instructions on the post HERE.